Senate: Saraki condemn noise making in plenary – Royal Times of Nigeria. 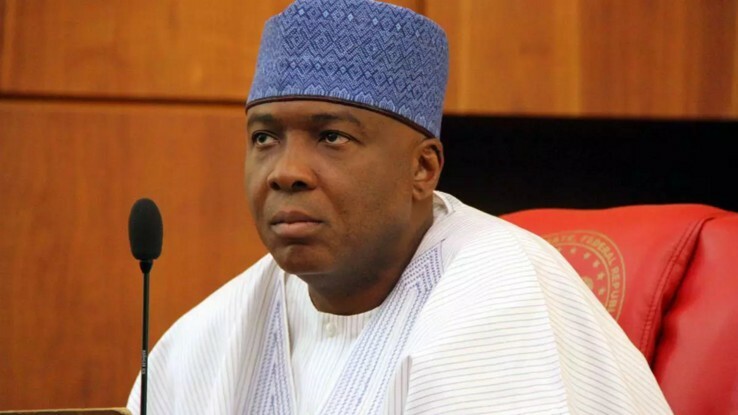 The President of the Senate Dr Bukola Saraki on Wednesday advised some senators to stop making noise during plenary to avoid being walked out of the chamber. Dr. Saraki asked senators to go to the coffee room if they would not obey the rules of the chamber and keep quiet. Saraki’s threat followed a point of order by Sen. Jubrin Barau pointing the attention of the Senate and its President to the noise making in the chamber while Senator Baba Kaka Garba was making contributions. He thereafter called on the senators to respect the rules of the plenary by either keeping quiet or going to the coffee room. “Distinguished colleagues the noise in the chamber is too much. Those who have issues to discuss should go to the coffee and allow others to contribute so that we will not be forced to walk you out of the chamber,” he cautions. Shortly after cautioning the lawmakers, Saraki particularly called on Sen. Kabiru Marafa to either go to the coffee room or keep quiet if he did not want to contribute to the day’s plenary. “Senator Marafa if you do not want to contribute you should go to the coffee room and allow others make contributions,” he said. Earlier during the plenary, Saraki had called the attention of the lawmakers to the noise making in the chamber. The Senate’s President had to use his gavel to get the attention of his colleagues before cautioning them over the noise making in the chamber. Unfortunately, the noise making and distractions continued prompting the point of order which led to the warning by the President of the Senate. However, after Saraki’s second caution to Senator Marafa, the noise in the chamber died down and the days plenary continued in decorum.